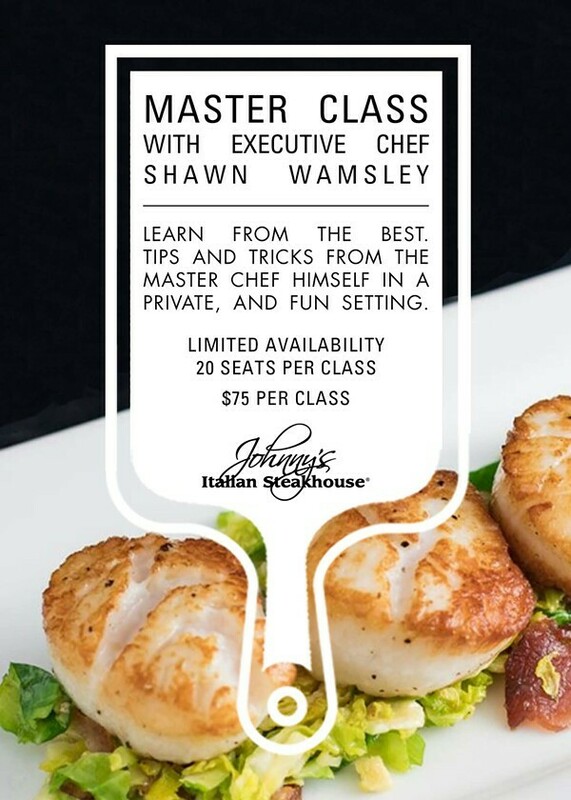 Join Johnny's Italian Steakhouse Executive Chef, Shawn Wamsley, for the second of many private cooking classes. In this class, learn how to master the popover, a Johnny's staple. Held in a private and fun setting. Limit to 20 seats.